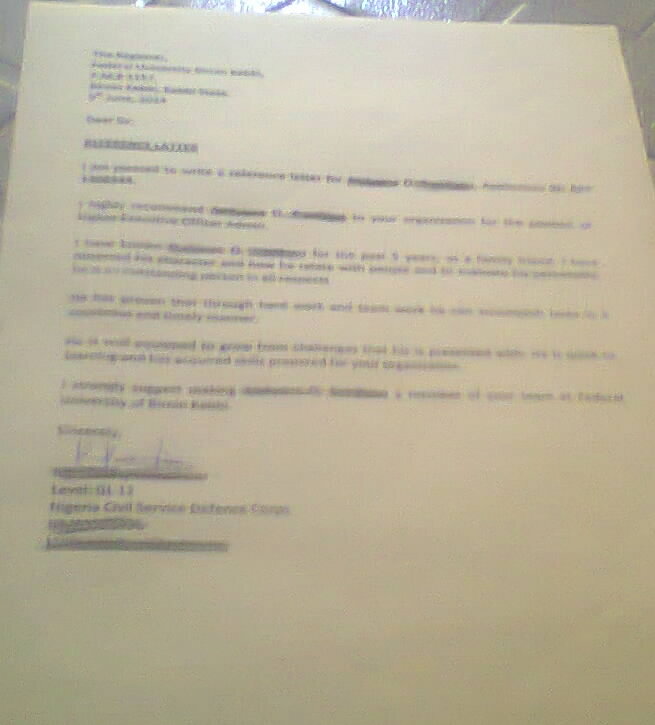 Home / Attestation letter / Jobs / Reference letter / How to Write a Letter of Attestation of Good Conduct for Navy, Air Force Army (DSSC) Applicant. This is a simple sample of Attestation letter of good character, you may easily modify this to your taste if call upon at any time to Stand for Someone or write a letter of good cconduct for someone. I am writing to attest to the ability of the under-listed to serve as an officer in the Nigeria AIRFORCE, NAVY, ARMY or POLICE. I have known John for many years in my capacity as a guarding and mentor, and I can say he is of good moral character. John is a natural leader, but more importantly than that, he also knows how to follow an order. He recognizes the value of deferring to a superior. An officer needs to possess the ability to both lead and follow, and John has just that. He is a friendly, easy-going man who understands the value of a hard day's work, and knows the importance of keeping the military running smoothly. He wants to be a part of the system, and i believe the system will benefit greatly from his participation. I believe strongly in John potential in the Air Force, Navy, Army or Police, so I hope you will accept his application for commission. Please accept the assurance of my high regards and consideration.